These days there are all sorts of high-tech camouflage that advertises the ability to blend into any terrain. Truth be told there is no replacement for a natural ground blind. Instead of paying for an expensive new ground blind at your nearest hunting store or suiting up in one of those ridiculous gillie suits, go out onto your nearest hunting land and build yourself a ground blind the way the ancient hunters did it. First, first for a natural feature that makes building a blind easier, something that already creates cover such as a tree stump, a fallen log or even a bush. Next, look to make the cover it already provides even wider and encompassing more on all sides by using branches and other foliage nearby. Lay the branches with leaves down alongside the natural feature to give your bind three sides of cover. Depending on what exists in the area will dictate how you construct your blind and what materials to use. If all you have is tall grasses, then perhaps you can build a tee-pee like structure to crouch behind. If you have stacks of drift wood consider stacking them to shield your body. 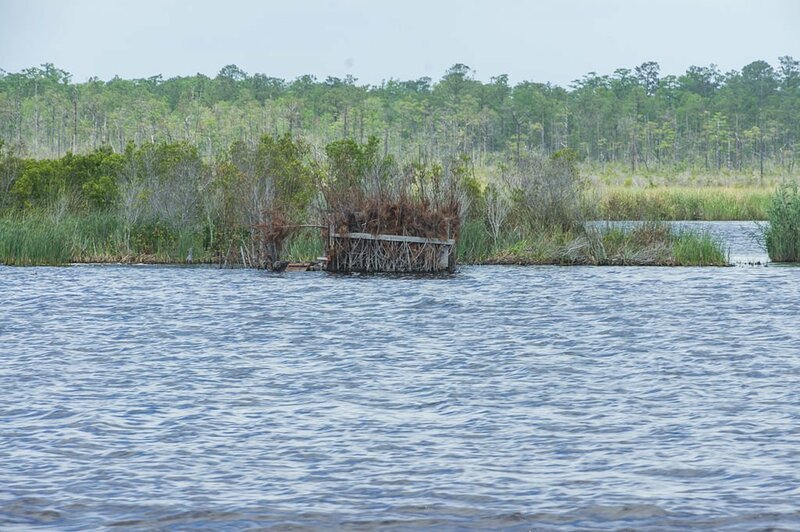 Duck hunters are great at this, as building a blind on the lake shore is ideal. Always remember that you should construct your ground blind long before you plan to hunt on any given property so that animals can become accustomed to it. Place your blind upwind from a known game trail. In this way, you increase your chances of success. By using natural features to construct a ground build, you create a hideaway that blends into the existing terrain. No amount of computer engineered camouflage will ever duplicate the exact tones of the surrounding foliage like those very items themselves. Even if you do not build a semi-permanent structure you return to each year, you can also utilize large fan branches of leaves as you move about an area. Just place the branches in front of you to at least someone camouflage your behavior. Every little bit helps in your battle against being conspicuously. Building a ground blind goes back to the ancient forms of hunting as those primitive hunters quickly realized they needed a way to mask their appearance. It also just makes sense if you consider the animal kingdom and the way skin tone adapts in certain species to blend into their surroundings. If animals do it instinctual, it just goes to reason that hunters should do it too. So the next time in scout out your local hunting grounds, put together a primitive ground blind using what’s laying around on the ground.